OK, so I have had a little more time to open the rest and scan the "hits". Overall after opening 8 packs of these I am pretty pleased with what I got, and the product overall. 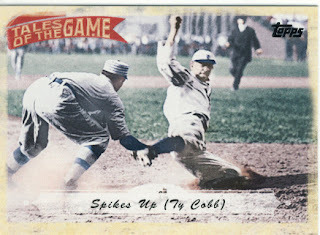 In Series 1 and 2 Topps the base cards are less fun than the inserts so the fact that you do get a good amount of inserts in the packs is a good thing, at least to me. 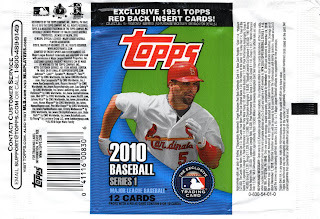 Here are packs 5-8. 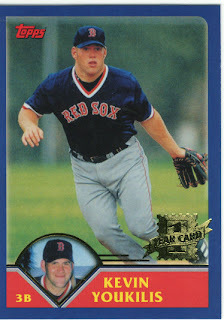 Kevin (douche) Youkilis - The Cards Your Mom Threw Away (smart lady) Though I hate him, the card even has the foil embossed gold stamp, it's just like the original stamp. 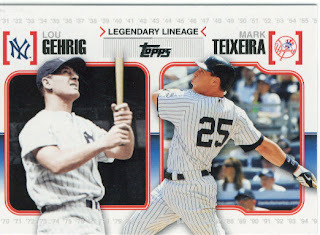 This will probably be the end of my purchasing 2010 Topps Series 1 packs. I bought a couple of packs that felt lucky for the sake of reviewing and well, I like opening packs. 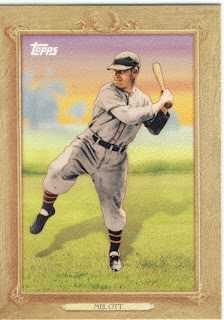 I also went and scanned the wrapper at the request of a reader to show the odds of the inserts. Peter a.k.a. 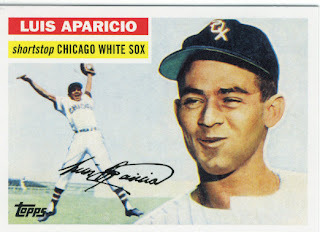 Flash put up a blog with pack breaks as well now go check it out at Dropped Third Strike. 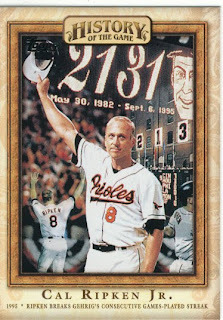 I should note that the Cal Ripken, Jr. insert you pulled uses the exact same photo as his 1996 Topps base card. Not sure if that's intentional though. 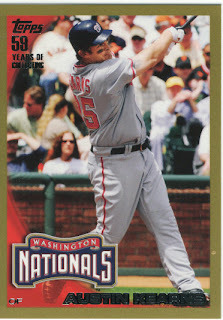 Let me know if you are interested in obtaining a loving home for the Austin Kearns card. I was thinking he would be left out this year but am glad to see that he did not. Send me a message on facebook. i can't wait to hit up target tomorrow morning! 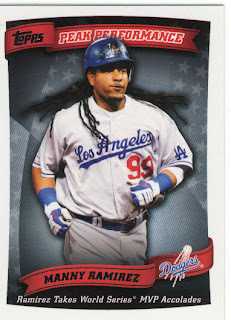 looks like topps is flooding the market with inserts this year. anyhoo, marie, i wouldn't mind taking those tigers of your hands. i'm hittin' a card show friday... need anything? 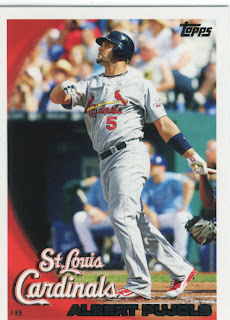 In the first post what is with the ST Louis Cardinals Card? is that a team checklist - it doesn't say franchise history like the Oakland card. deal, The back of the card that is just a team name card is the Team Leaders type of card. It has some stat categories and a little paragraph. 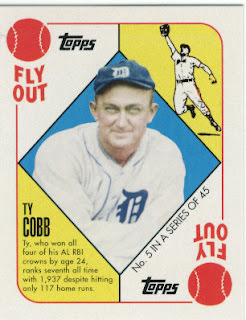 I bought three packs today and I got a Ty Cobb red back, Ichiro gold and a Joe Morgan SP.